www.trustedregina.com 's first OF MANY non profit and community projects that Trusted founder Sara Wheelwright is supporting across the province , she is one of the 100 women involved in this amazing initiative! Trusted believes in giving back to the community as an ongoing commitment. What is 100k in 100 Days? 100k in 100 Days is an initiative being undertaken by a group of exceptional women in Regina. The goal of the group is for 100 women to raise $100,000 in 100 days. $100,000 will cover the costs of materials to build a home for a hard-working family who will put in a minimum of 500 sweat-equity-hours towards the building of their home and then pay an interest-free-mortgage. The interest-free-mortgage will allow them to escape high rent payments and begin saving for their future. Participants in this exciting initiative are encouraged to not only contribute financially to this build but also by volunteering on site as well. Build volunteers need not have experience. Our journeyman carpenters will oversee the project from beginning to end ensuring the family has a solid, well-built home to live in. Teams of five or six volunteers will enjoy time on the job site learning and contributing to the house that will become a dream come true for a family looking for their very own home. If you'd like to be one in a hundred contributors/volunteers please call Trish Bezborotko, Director of Fund Development and Communications, Habitat for Humanity Regina at 522-9700 or email tbez@habitatregina: Cheques can be made payable to Habitat for Humanity Regina, please put in subject line 100 K in 100 Days and mail to 1740 Broder St., Regina, SK S4N 2H7. We can also process your donation on VISA or Mastercard. Please call us at 522-9700 to donate using a credit card. Trusted breaks new ground in the online Directory world! www.trustedsaskatoon.com and www.trustedregina.com are busy bragging about more wonderful Trusted business on the Saskatoon and Regina directories of excellence daily it seems! We are busy catching up, as so many businesses are coming on board each week across the province..sometimes we are stretched pretty thin...you will also notice how many TRUSTED TIPS our existing clients are providing us too...so the typing never stops. ..except maybe to film our own TRUSTED TIPS for Global Saskatoons new 6-9am morning show ( our first consumer tip by Sara the Trusted founder aired today..we will have it up on Youtube asap for you to look at! )...exciting and BUSY times on the run up to Christmas! We are not complaining though..we are breaking new ground in the directory industry with every step forward...not only are we unique because we provide businesses that have a track record of excellence..and are contracted to uphold the 5 Trusted Guarantees of excellence for those people with a NEED right now..but we are evolving into a local source of TRUSTED Experts..who provide tips for the consumers who we know are researching online BEFORE they decide who to buy from or what to buy! To see this feature for yourself got to www.trustedsaskaton.com click on the category you are interested in .......and you will see a link to the right of the category that says CLICK HERE FOR TIPS AND RESOURCES this takes you to our blog archive where you can pick from our list of Trusted Tips..or you can simply select a category you are interested in from the TAG CLOUD on the left to see all TIPs and blogs on that subject..EASY ..see we truly are the SMART & SIMPLE choice! 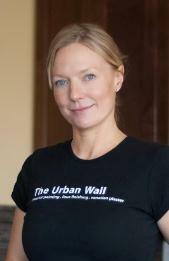 The Urban Wall offer Interior Painting in Saskatoon for even the fussiest home owner! Leanne, the owner has extensive trade experience in the Saskatoon Painting industry and understands that you want the job done on time, on budget and with minimal hassle to your busy household......and most importantly you want it to be PERFECT! Here Leanne Shares her first Trusted Tip! You often hear when you're told how to find the right painting contractor to ask about the quality of the contractor's work. The definition of quality can be somewhat subjective. Yet, there are definite parameters that define whether you received a quality house paint job or not. You should be familiar with these seven things before you hire a painting contractor. Paint Quality Tip #1-Proper Protection from Paint In most cases, a painting contractor isn't working with an empty house. If the painting contractor is going to be working inside your home, you want to be assured that your furniture and floors don't end up with paint all over them. You also don't want paint on light fixtures and doorknobs. You want paint to be where it belongs and nowhere else. Paint Quality Tip #2-Proper Pre-Paint Preparation A paint job will not last if proper pre-paint preparation techniques are not used. 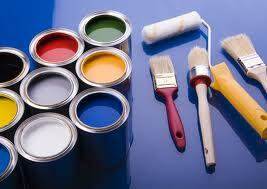 Things like silicone, wax, polish, grease and dirt will prevent the paint from adhering properly. Things might look okay for a short while, but when bad weather arrives, it becomes apparent that pre-paint preparation was sloppy. Before new paint can be applied, it's important that all dirt and grime, mold and mildew and chalking or peeling paint be removed. This is important whether the painting is in the interior of the home or on the exterior. Paint Quality Tip #3-Caulking You have the right to expect a painting contractor to caulk holes, window frames and other trim areas that typically require caulking. One of the goals of painting your home is to protect it from the environment. Caulking prevents water from seeping in behind trim and causing extensive damage. On the inside of the home, caulking eliminates the home many bugs would like to make behind your trim work or cabinets. Caulking is all part of doing a quality job both inside and out. Paint Quality Tip #4-Clean Lines between Separate Paint Colors. We've all seen painting jobs where the junction between the ceiling and the walls looks messy because color from the walls slopped up onto the ceiling. No professional should walk away from a paint job where the lines between ceiling and trim, or ceiling and wall aren't straight and clean. Paint Quality Tip #5 - Neat Painting Around Windows, Doors and Trim. A painter who does quality work spends time masking. You have the right to expect windows without paint on them. If you use a different color to frame the trim around your windows and doors, you have the right to expect that color to only appear on the trim. You should never have paint on doorknobs or hinges either. Only amateur painters fail to mask these typical door features. The same goes for light and electrical fixtures. You can rely on Laeanne at THE URBAN WALL to produce a high quality finish with satisfaction guaranteed, whatever your needs and budget. Call Leanne today, or go to her website here check out her listing in the SASKATOON PAINTER & DESIGNER PAINT Category on THE Saskatoon directory of excellence. THE URBAN WALL is a Trusted Saskatoon Paint expert ! www.trustedsaskatoon.com and www.trustedregina.com are busy bragging about more wonderful Trusted business on the Saskatoon and Regina directories of excellence daily it seems! We are busy catching up, as so many businesses are coming on board each week across the province..sometimes we are stretched pretty thin...you will also notice how many TRUSTED TIPS our existing clients are providing us too...so the typing never stops. ..except maybe to film our own TRUSTED TIPS for Global Saskatoons new 6-9am morning show ( our first consumer tip by Sara the Trusted founder aired today..we will have it up on Youtube asap for you to look at! )...exciting and BUSY times on the run up to Christmas! We are not complaining though..we are breaking new ground in the directory industry with every step forward...not only are we unique because we provide businesses that have a track record of excellence..and are contracted to uphold the 5 Trusted Guarantees of excellence for those people with a NEED right now..but we are evolving into a local source of TRUSTED Experts..who provide tips for the consumers who we know are researching online BEFORE they decide who to buy from or what to buy! To see this feature for yourself got to www.trustedsaskaton.com click on the category you are interested in .......and you will see a link to the right of the category that says CLICK HERE FOR TIPS AND RESOURCES this takes you to our blog archive where you can pick from our list of Trusted Tips..or you can simply select a category you are interested in from the TAG CLOUD on the left to see all TIPs and blogs on that subject..EASY ..see we truly are the SMART & SIMPLE choice!